I wouldn’t call myself a huge print person, but if there’s one pattern I’ll always love it’s the classic Missoni chevron look. Over the years I’ve owned a number of Missoni items, but my favorites always tend to be accessories like this scarf. 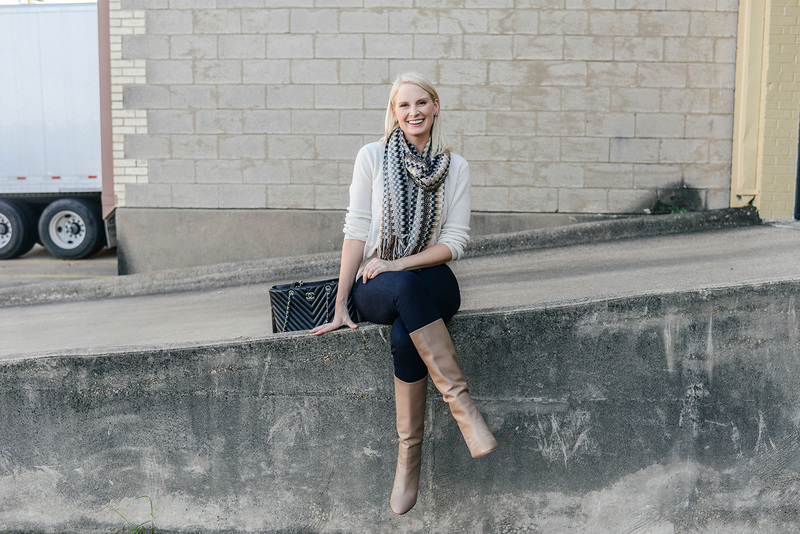 Because I tend to wear so many neutrals, adding texture and a subtle pop of color to my outfits by way of a fun scarf is an effortless solution. 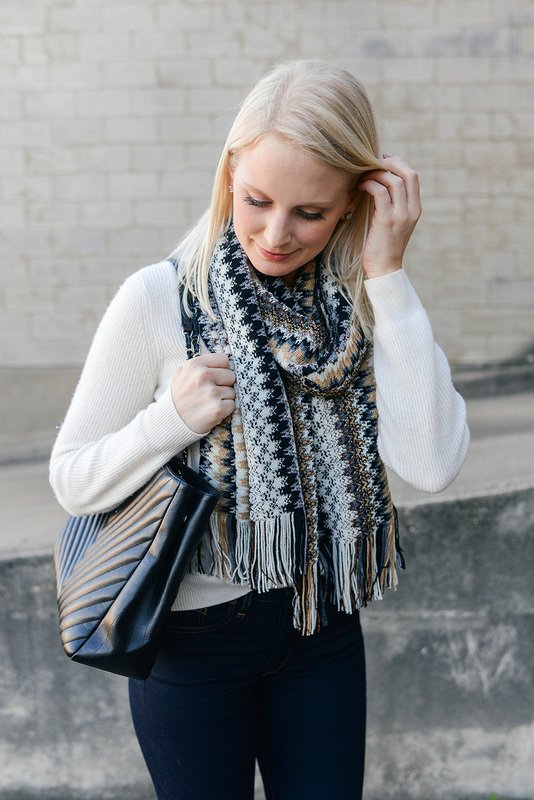 What I love about this particular scarf is the mix of gorgeous woven neutrals. Cream, tan, black, grey and a metallic bronze come together to make one hell of a versatile piece! The scarf is thick and soft, so it adds quite a bit of warmth to even the most lightweight sweaters. You just really can’t beat the quality of it either! So many of Missoni’s pieces are pricey, but the scarves are a little more reasonable – and because it’s a winter staple you’ll wear for years, I definitely think it’s worth the splurge. Unfortunately my exact scarf is nearly sold out (just one left when I wrote this! ), but I managed to find a bunch of similar styles also by Missoni for you to check out. Highly recommend adding one to your fall/winter wardrobe! They make excellent travel toppers and are just a great everyday piece to throw over any outfit. If you want a more neutral look like mine, I recommend taking a peek at this style. This scarf features the most intense and magnificent autumn hues, don’t you think? For something a little darker, this scarf is a great option. This scarf is a little more lightweight and will be a pretty transitional piece for spring! Loving the metallic weave on this knitted scarf. So festive and fun for the holiday season! Love Missoni and this scarf is amazing! That scarf is so pretty! I love how it breaks up an all neutral look. Definitely worth the splurge!